MAYS LANDING – A 27-year-old Newark man was convicted yesterday of Aggravated Sexual Assault While Armed With a Weapon for the 2015 sexual assault of a Galloway Township woman, Acting Atlantic County Prosecutor Diane Ruberton announced. 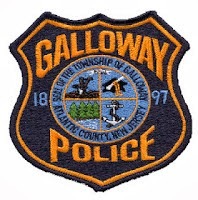 On July 10, 2015 at 9:54 p.m., police officers of the Galloway Township Police Department responded to a home on South New York Road, Galloway Township, for a reported disturbance. Upon arrival, police heard a female screaming from inside the home, and located the female victim and Reed-Price inside the residence. Yesterday afternoon, before Atlantic County Superior Court Judge Bernard E. DeLury, the jury deliberated for 1 hour before returning a guilty verdict on all six criminal counts. A conviction for a 1st degree crime carries a potential sentence of incarceration in New Jersey State Prison for a period of 10-20 years. A 3rd degree conviction carries a potential penalty of 3-5 years in prison, and a 4th degree conviction carries a potential penalty of: up to 18 months of imprisonment.